You know how sometimes you wake up early in the morning and just don’t feel like talking? It’s not just talking, you simply don’t even feel like opening your mouth at all! Well sometimes that same thing happens to designers, they simply don’t feel like using long words or text in their designs. Thankfully, we found a solution for that! 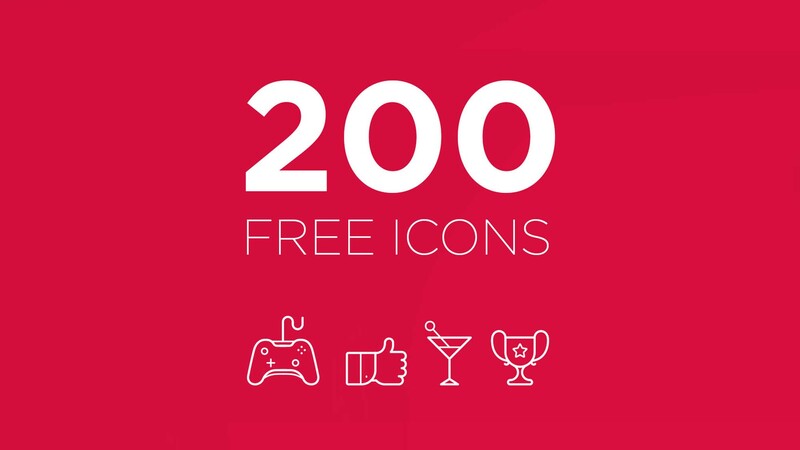 It’s a free set of 200 vector illustrator icons designed by Henrik Østergaard (not all superheroes wear caps just saying). The reason why designers love using icons is because they do not only save space, but also summarize/substitute words/meaning in a creative way. They’re perfect for branding projects, map design, web or app design, logo design, and all sorts of other projects. Icons can symbolize meaning, emotions, actions, directions; they make our lives easier and became part of our daily lives. This set also comes with a bonus of 10 icons! It’s every designer dream come true so download it and get creative!